When I did the above Christmas card, it was the breaking point of having to accept Brut was gone for good. He wasn't coming back, he wasn't in the bedroom nor outside as the little bits of denial would like me to believe. And while it was a survival tactic to get through the day, it was never conscious, more like tiny hope that he wasn't really gone. Doing the Christmas card was the final break of the hope and part of my heart died that day. 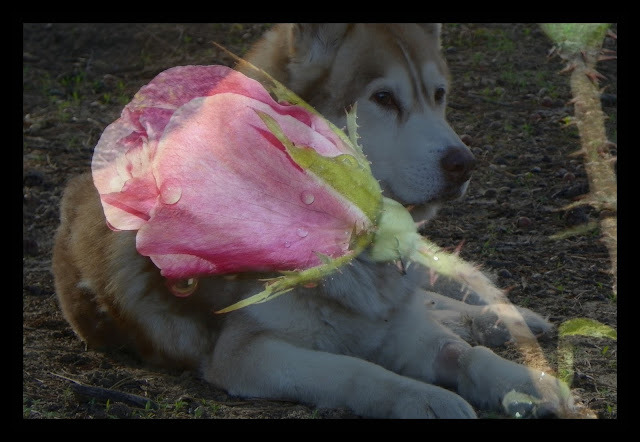 Gone forever is the boy I knew and loved. For I believe in heaven and that Brut has a spirit up there and isn't in the way I once knew him. I feel his spirit around me like a soft, cuddly robe that I can snuggle with any time of the day or night with him. And I'm OK with that. I'm really OK.
p.s. 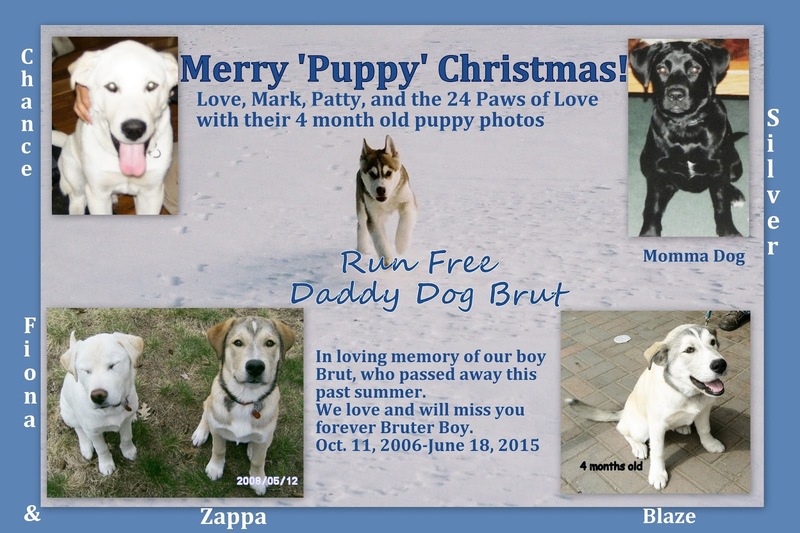 for those who would like to read about Brut, his page has been updated. I love the image of Brut's spirit robe around you. I sometimes feel that with Pip, too. What a beautiful thought the idea of a robe of such spirit and love surrounding you is. Always with you. WW- Why, Take a Load Off Zappa! Do Not Rouse THE MOUTH! WW- You're Not Going To Make Me Share, Are You?